Join Kosherica for our 2019 Glatt Kosher Cruises and Tours to the Caribbean. Sail this winter on our five star Glatt Kosher Caribbean cruises with the best Jewish entertainers and scholars for 2019. Baseball hats, sunglasses, lots of sun lotion, coverups and swimwear. You can find the most gorgeous private beaches! Casual exploring outfits. No need to be fancy on the at the ports of call. Flip flops are always super handy on the beach. One or two pairs of dress shoes to accompany your dinner outfit. Temperatures in these gorgeous locations tends to be on the warmer side. Think in the 80’s and brisker at night. Please always visit weather.com for more information. 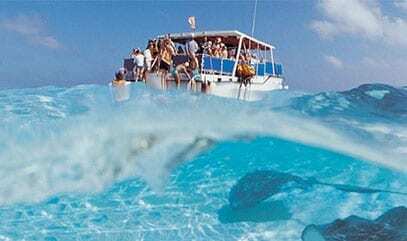 We highly recommend booking excursions with the cruise line directly as your safest option. The cruise line offers amazing excursions at all activity levels such as Cave Tubing, Kayaking, Ziplining as well as bus tours to beautiful ruins and scenic lookouts.